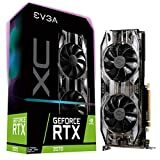 To spice up the holiday season, NVIDIA has announced a new bundle promotion for their GeForce RTX 20 series graphics cards. The new bundle promotion allows users to get hands on the first ray tracing game with the purchase of any GeForce RTX 20 series graphics card. The title we are talking about is Battlefield V and I don’t think there could be any better of a deal from NVIDIA then to offer their first ray tracing cards with the first title to support ray tracing. Of course, there will be many other titles in the years to come to support NVIDIA RTX but Battlefield V is currently the only existing title to feature support for it. NVIDIA GeForce RTX delivers the ultimate PC gaming experience. Game with the unparalleled realism and performance of the new NVIDIA Turing GPU architecture and revolutionary RTX platform as you enter mankind’s greatest conflict where no two victories are ever alike. This is a whole new way to experience games. The game will be bundled with all GeForce RTX 20 series cards so those include the RTX 2080 Ti, RTX 2080 and the RTX 2070. The bundle will last till 7th January 2019 so it’s a limited promo but those who get their hands on an RTX 20 series cards in the coming days, weeks or months, make sure to head over to this link to redeem your game. The redemption period itself would end on 31st January 2019 so be sure to do so in time. In our own testing, we found out the difference in performance and quality between RTX On and RTX Off to be very noticeable. You can check out more here. But even without RTX, Battlefield V is really an enjoyable game with a really solid multiplayer online system and great gun mechanics that you’d expect of a Battlefield title. So even if you are not into the RTX stuff, it’s still a great game to check out. In addition to the game bundle, NVIDIA has also started a contest which you can enter to win a range of prices from RTX 20 series graphics cards, GeForce Max-Q notebooks, G-Sync HDR 4K Monitors and NVIDIA shield gaming devices. You can learn more here about the ‘GIFTAGAMER‘ contest.